How do I add references to my application? Testimonials are short (500 character or less) statements from someone you know, such as a friend, teacher, or previous landlord, that give your future landlord a little more information about you. 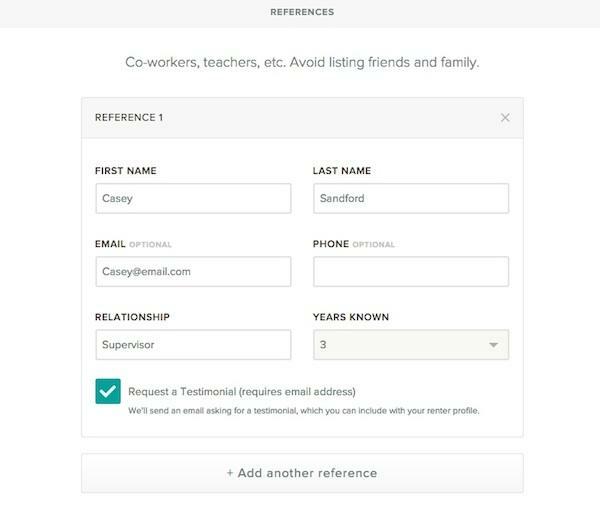 Scroll to the References section and click "+ Add a reference"
Ensure that the "Request a Testimonial" box is checked and we'll email them and ask them to complete a testimonial for you.